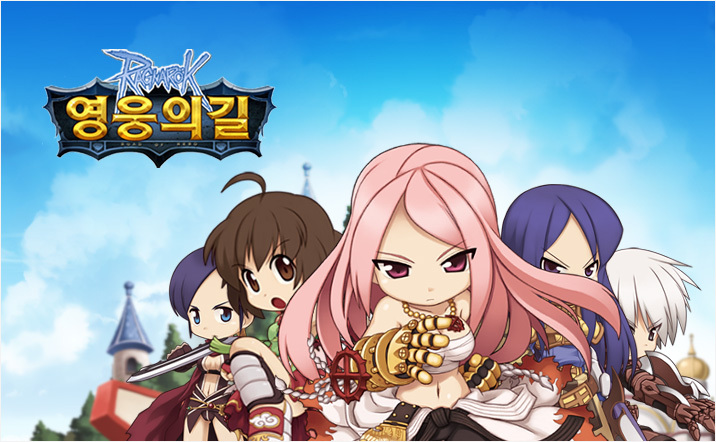 Inheriting famous 'Ragnarok Online' story, ‘Ragnarok Online Hero's Trail’ is a brand new mobile MMORPG game supporting co-play for both iOS and Android users in the same server environment. Moreover, it provides maximized fun on a MMORPG with various social contents such as Party System- Users can enjoy games with friends, Raid system- Certain amount of users gathering up to hunt, PvP System- Player versus player system, Guild System- Building community in the game, and finally a Friend System. Feel the Nostalgia of Ragnarok through mobile! It provides characters and a similar system to Ragnarok Online. Users can enjoy the game better with more fun and ease. Original monsters and BGM from Ragnarok Online would give users more fun. By providing a multi-user connection system, the game lets users enjoy the game not only by themselves, but also through social features, a cooperative hunting, raid, and social community with features such as Friends, Party, and Guild. Players can choose between 3 Jobs and enjoy the game in 4 different Worlds. Particularly, each job has its own feature that enables different play styles and fun through party playing with other users. By providing more than 10 dungeons, it makes it possible to do main quests, sub quests, daily quests, and repeatable quests. Path of Heroes continuously provides various types of contents that mobile games should provide. Recruiting soldiers and upgrading them are another great part of the game.